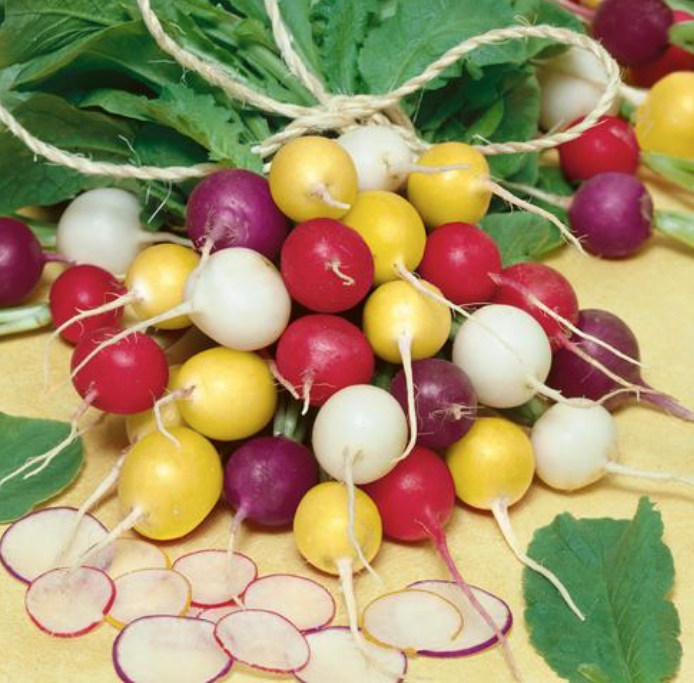 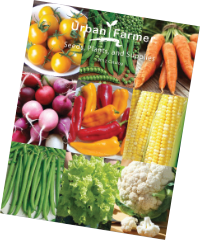 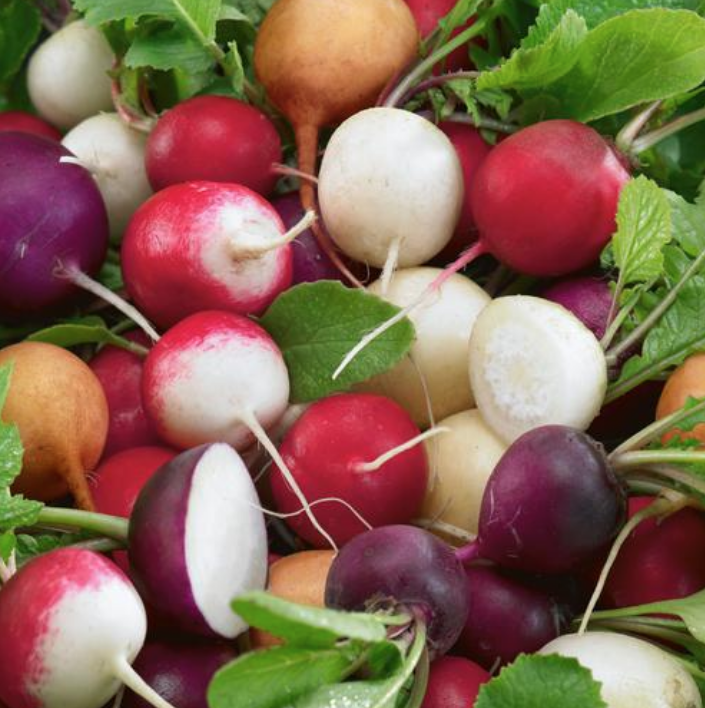 Radishes are one of the fastest growing vegetables around. 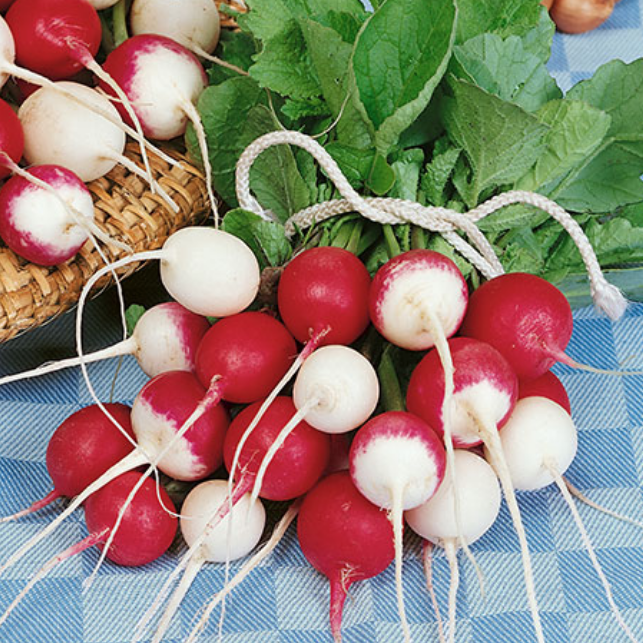 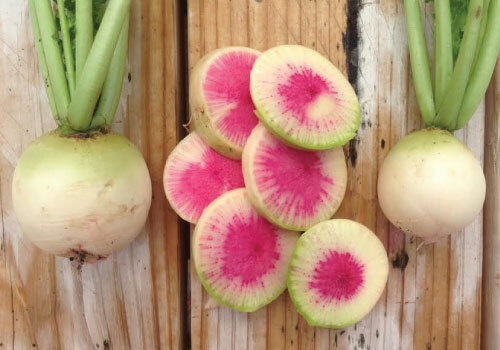 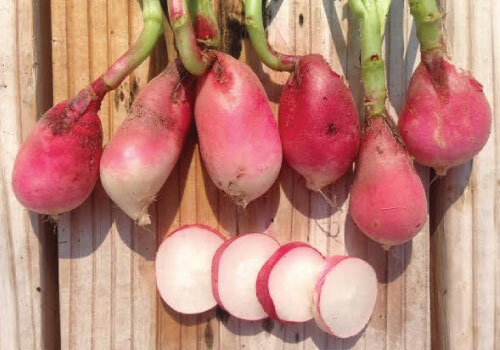 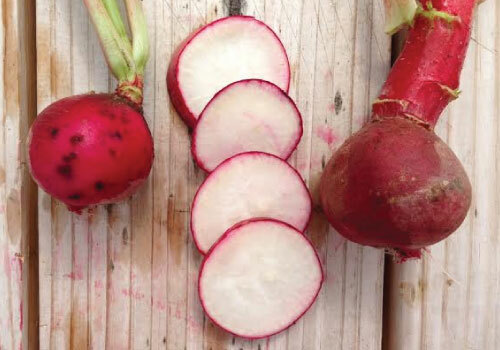 Crispy flesh with pepper flavor, radishes should be grown in spring and fall. 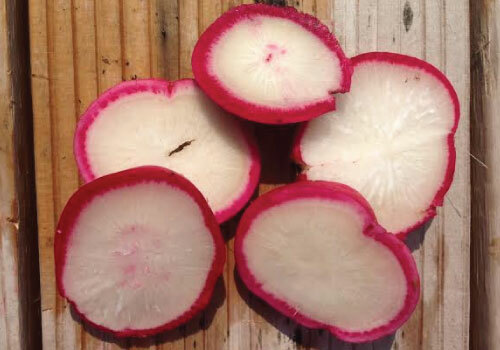 Radish shavings are a great compliment on a garden fresh salad. 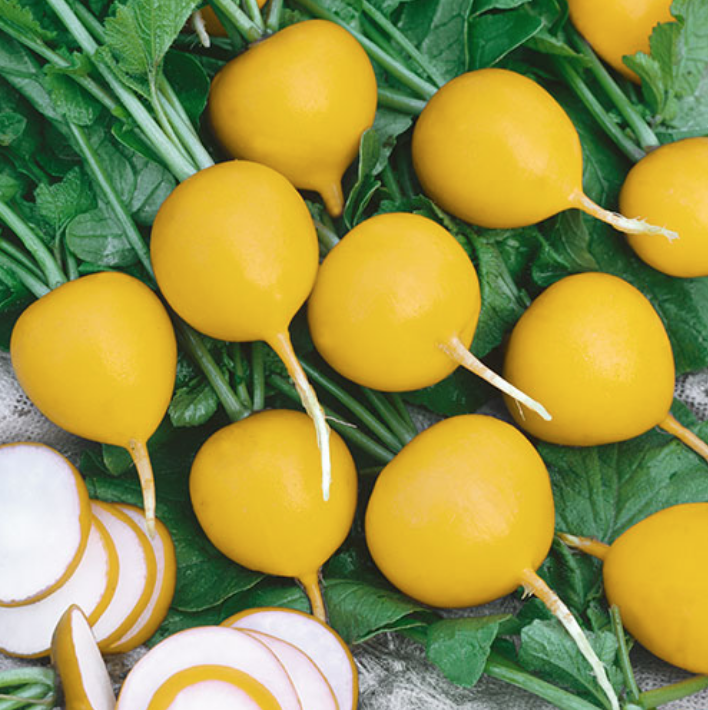 The Golden Helios Radish is named after the Greek god of the sun and is not only a beauty, it is also tasty with a sweet and mild flavor. 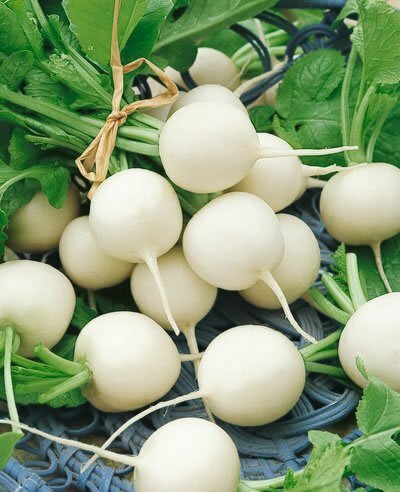 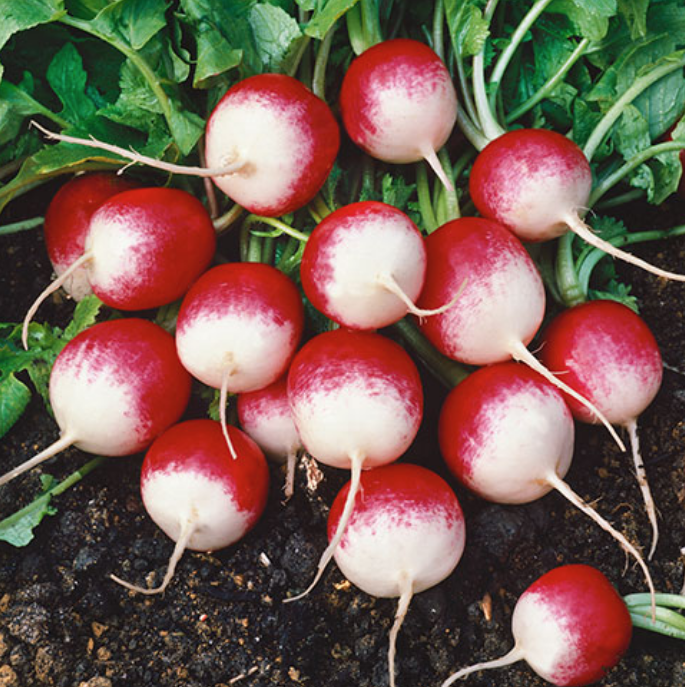 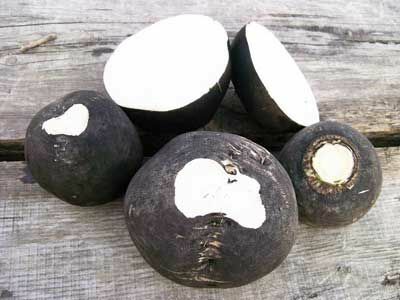 The Hailstone Radish is a round white radish with a very crisp flesh that is a nice color contrast on relish trays and in salads. 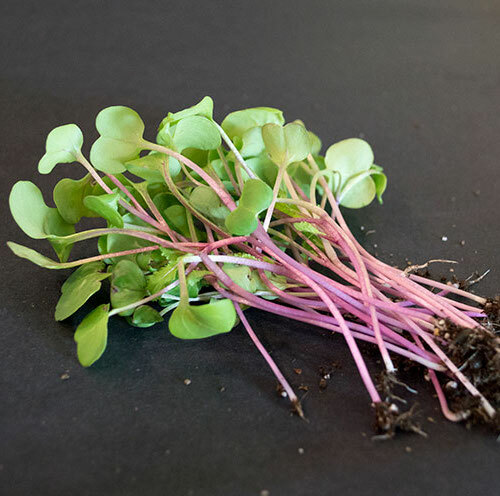 The spicy flavor, attractive purple stems, and green leaves of the Hong Vit Radish makes it the perfect addition to any salad! 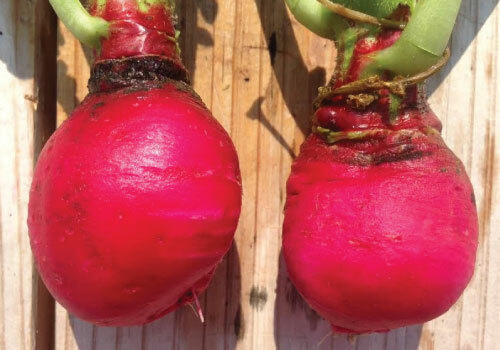 The spicy flavor, attractive purple stems, and green leaves of the Hong Vit Radish makes it a favorite among many growers! 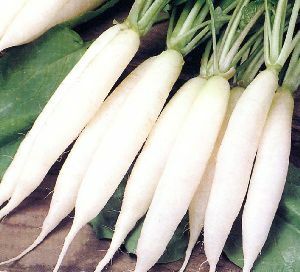 The pure white Minowase Daikon Radish is long and tapered and has a great, mild taste that is excellent in many Oriental dishes. 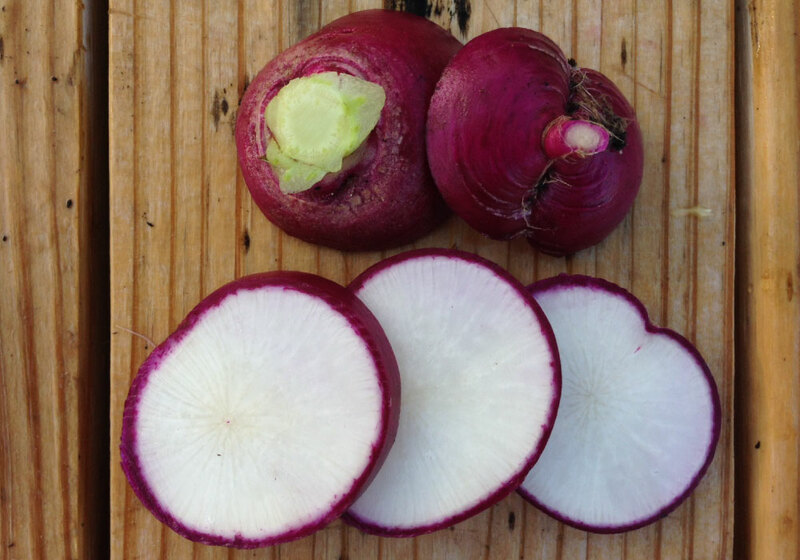 The Purple Plum Radish is a small round shaped unique purple skinned radish that is different from the "typical" radish coloring. 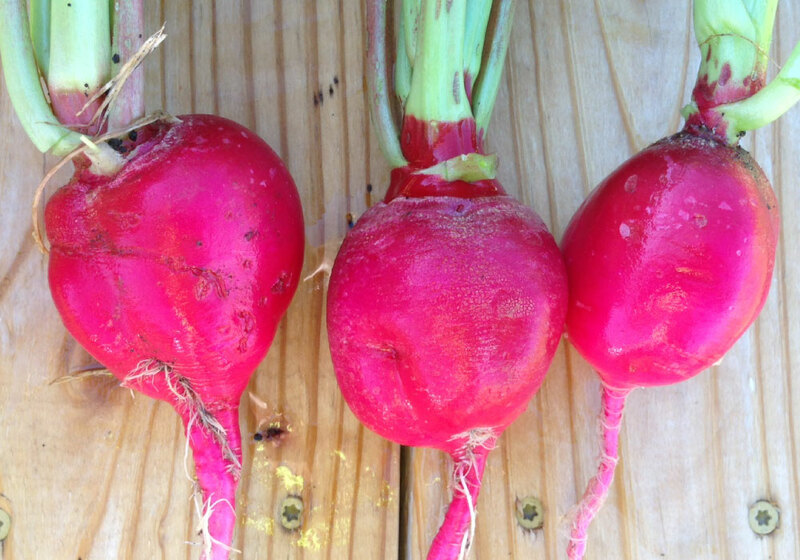 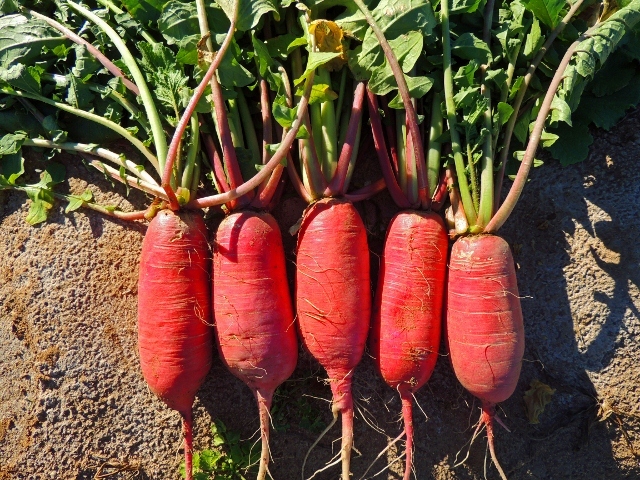 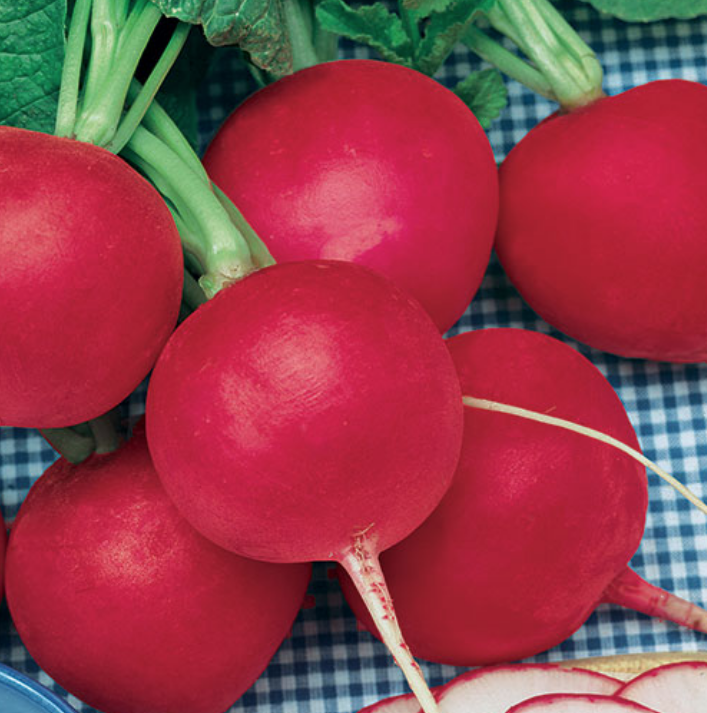 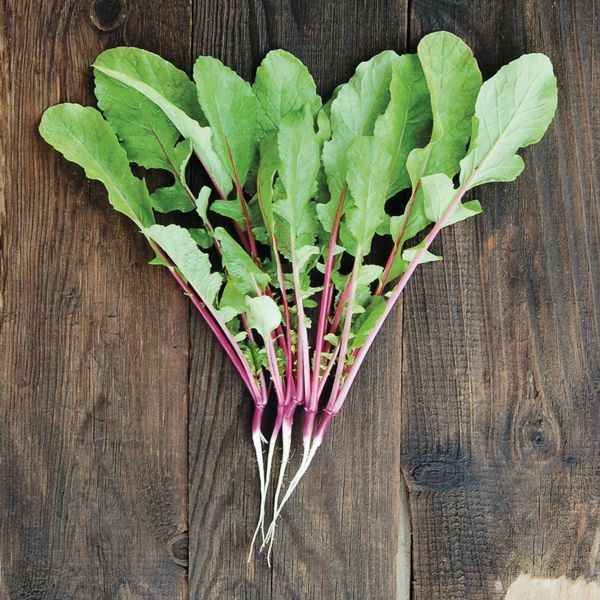 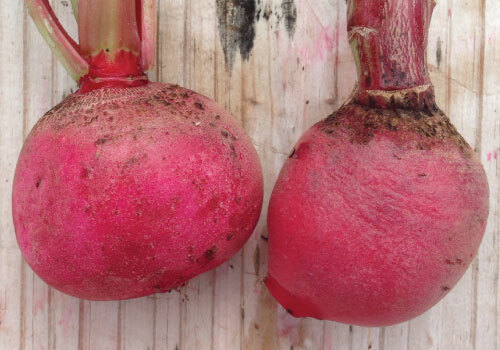 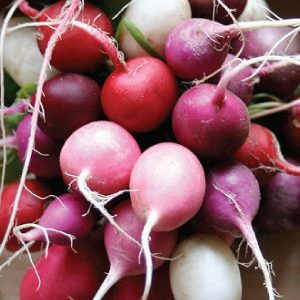 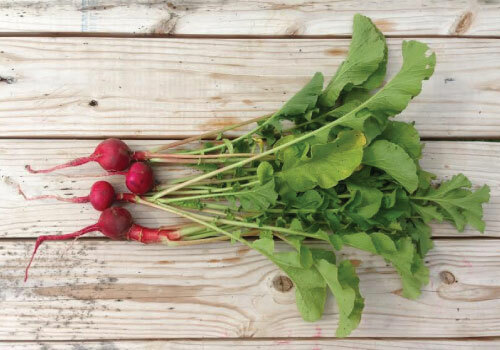 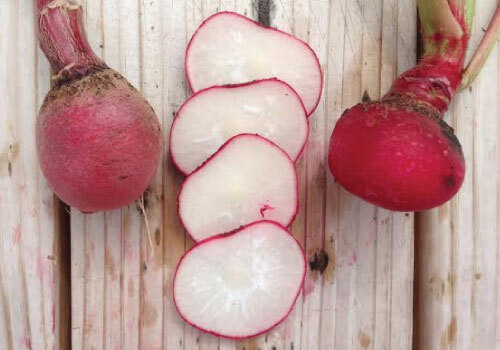 The Sparkler Radish is a bright scarlet colored radish with a sweet, juicy flesh and snappy flavor that is perfect for both home and market gardens. 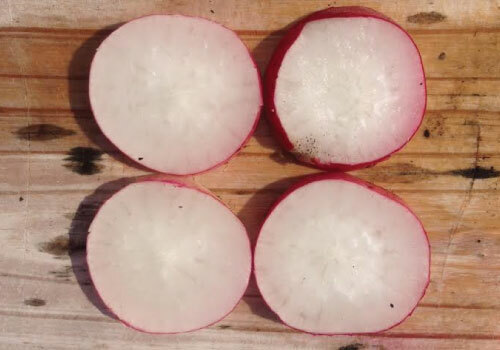 The Watermelon radish is crispy with a mild and sweet flavor, that is excellent for salads, garnishes and even cooking in Asian dishes! 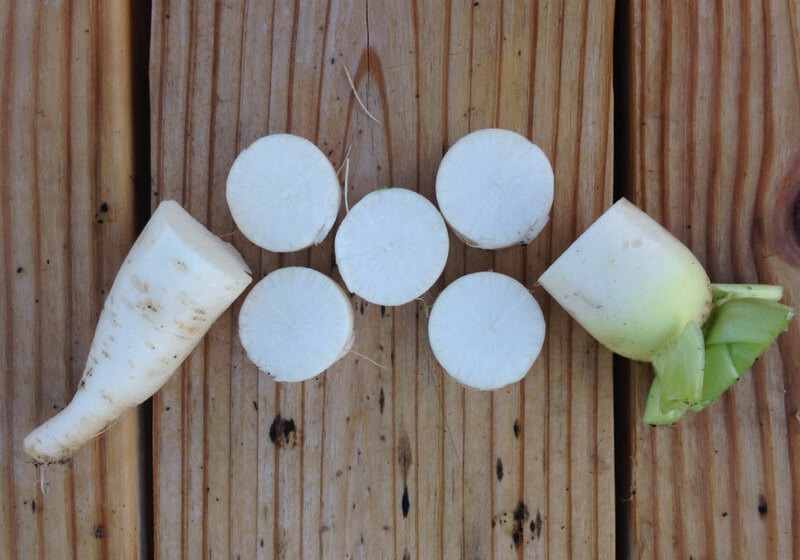 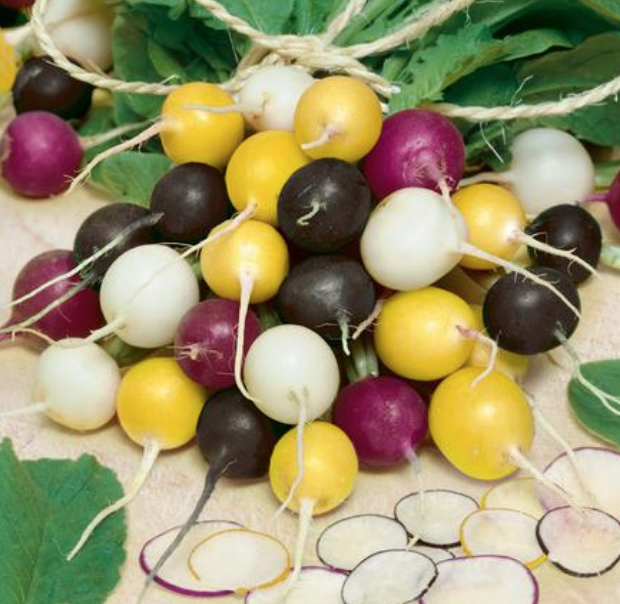 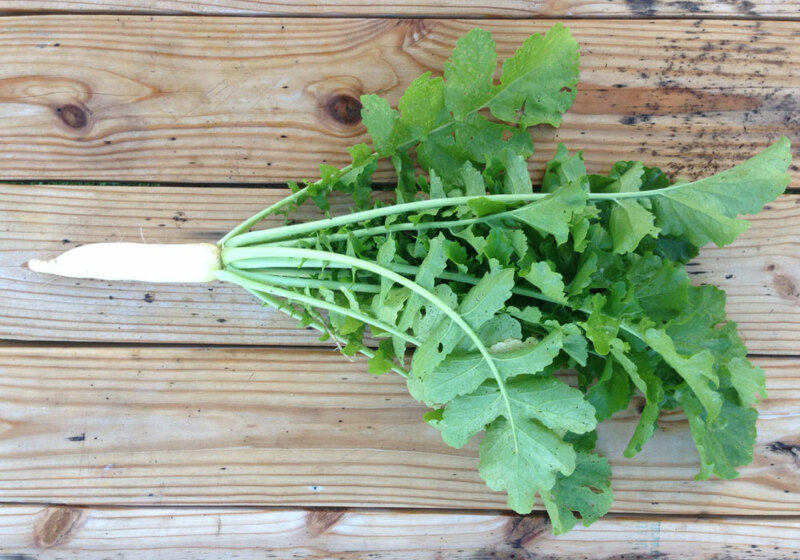 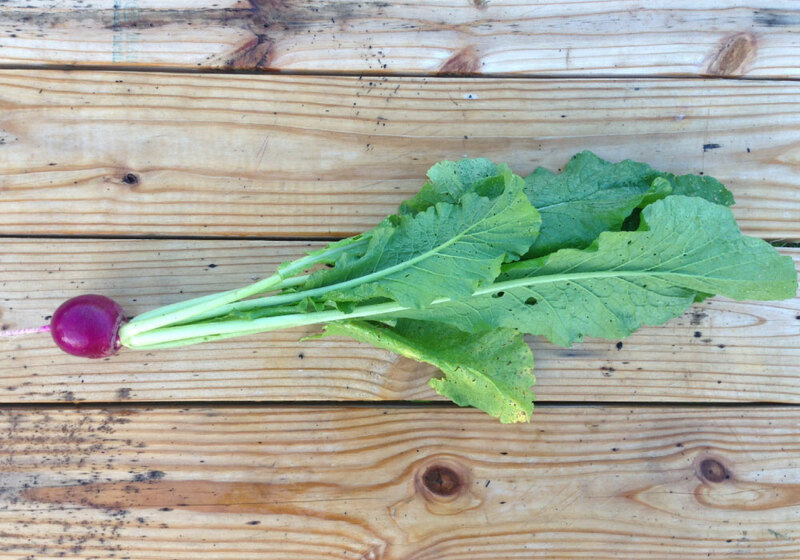 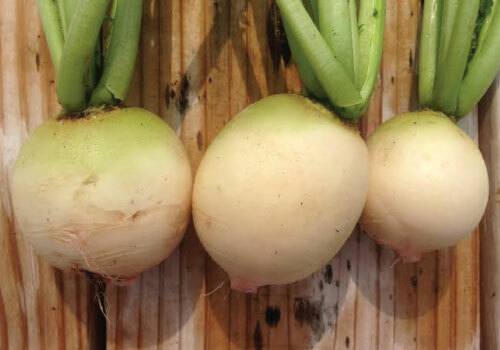 The White Icicle Radish is an heirloom white variety that has a warm, mild flavor and is excellent for the home garden or fresh market. 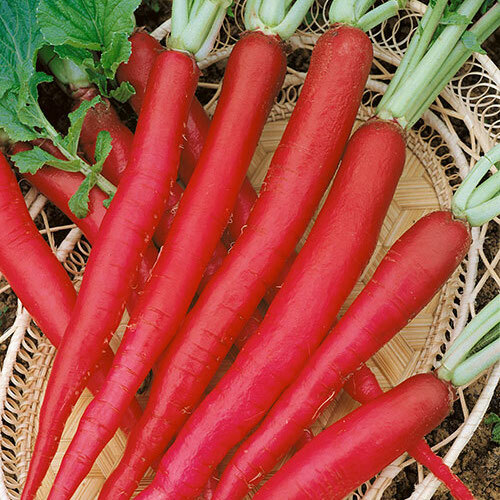 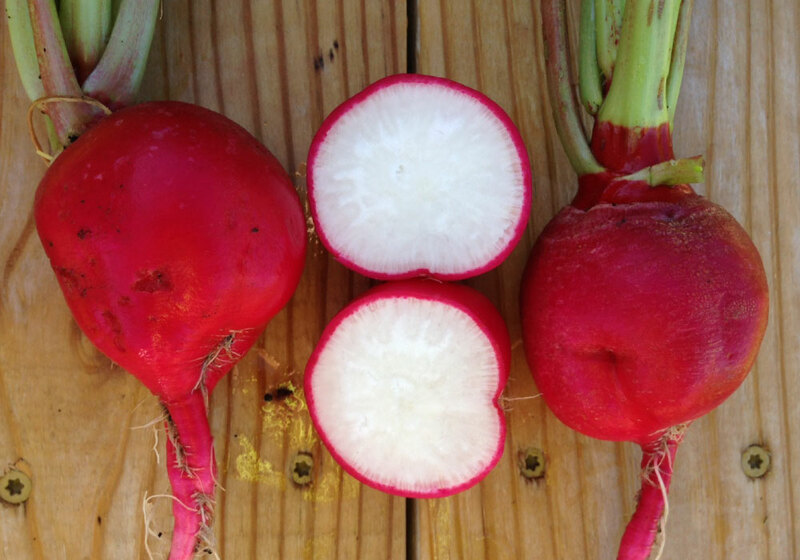 The very long beautiful tapered roots of the Long Scarlet Cincinnati Radish are bright red with a super sweet tender white flesh.